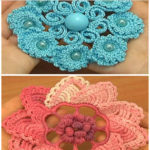 Do you like this flowers? 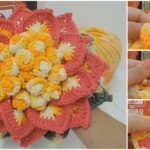 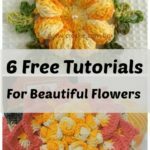 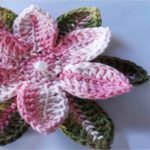 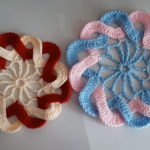 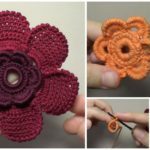 We know that you like and as usual we have for you free full video tutorial where you can watch and also learn everything step by step that you need to know to crochet this elegant and beautiful flower. 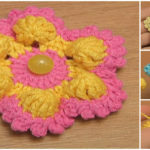 We think that this flower will be perfect element to decorate your carpets and blankets and etc. 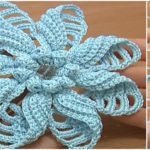 you can also decorate you dress and home interior, so let’s just start learning how to crochet and destination you will decide with no problems. 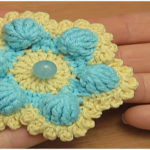 Thanks to our lovely author for free video tutorial and for another beautiful design.